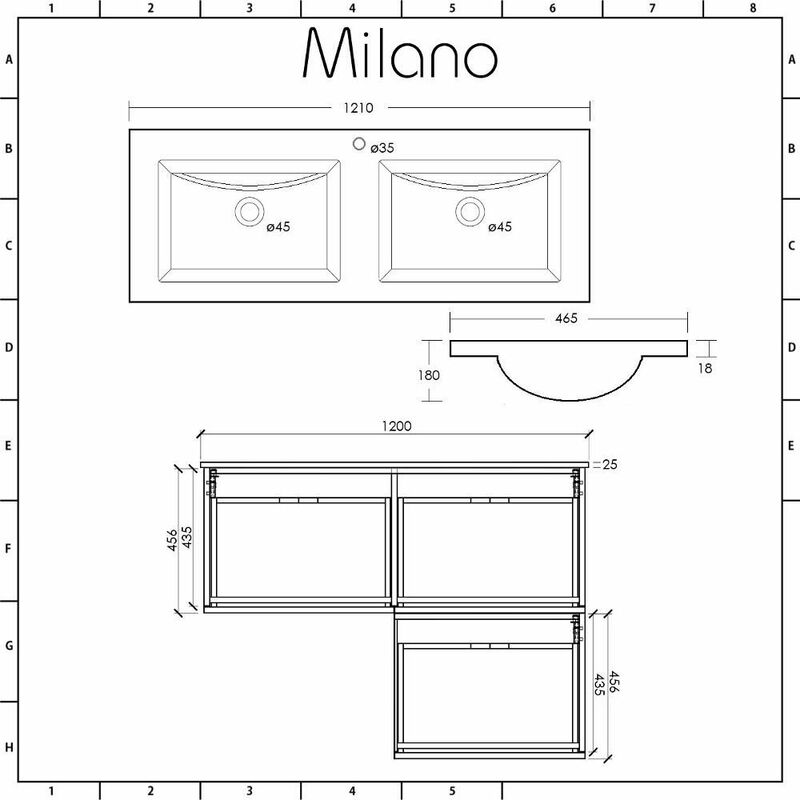 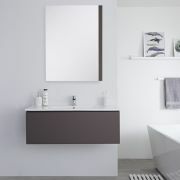 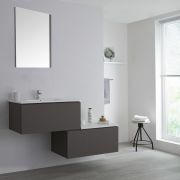 Add a smart new look to your bathroom with the wall-mounted Milano Oxley 1200mm L-shaped vanity unit and twin countertop basins. 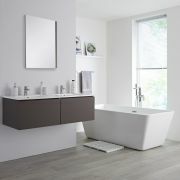 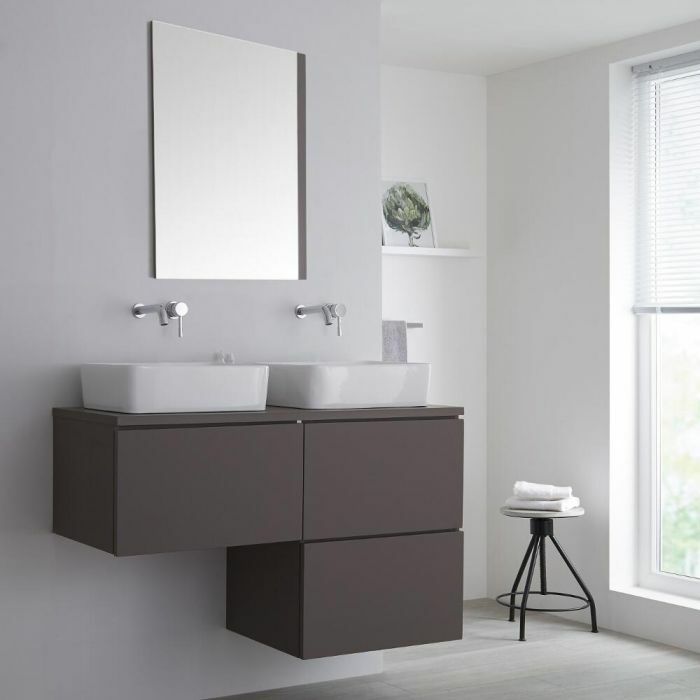 Featuring two high quality countertop ceramic basins with easy to clean white glazes, the Oxley vanity unit is made from moisture resistant engineered wood to provide long-lasting durability in a steamy bathroom environment. 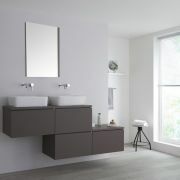 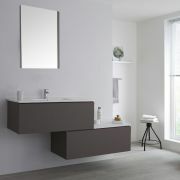 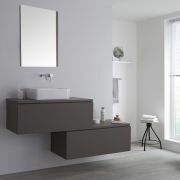 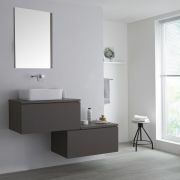 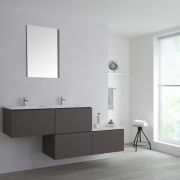 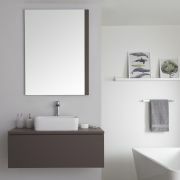 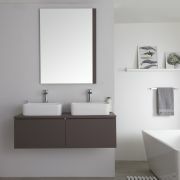 With a contemporary matt grey finish, the vanity unit includes three push to open soft close drawers to provide plenty of storage for your toiletries and cosmetic products, thus maintaining a neat look to your bathroom. 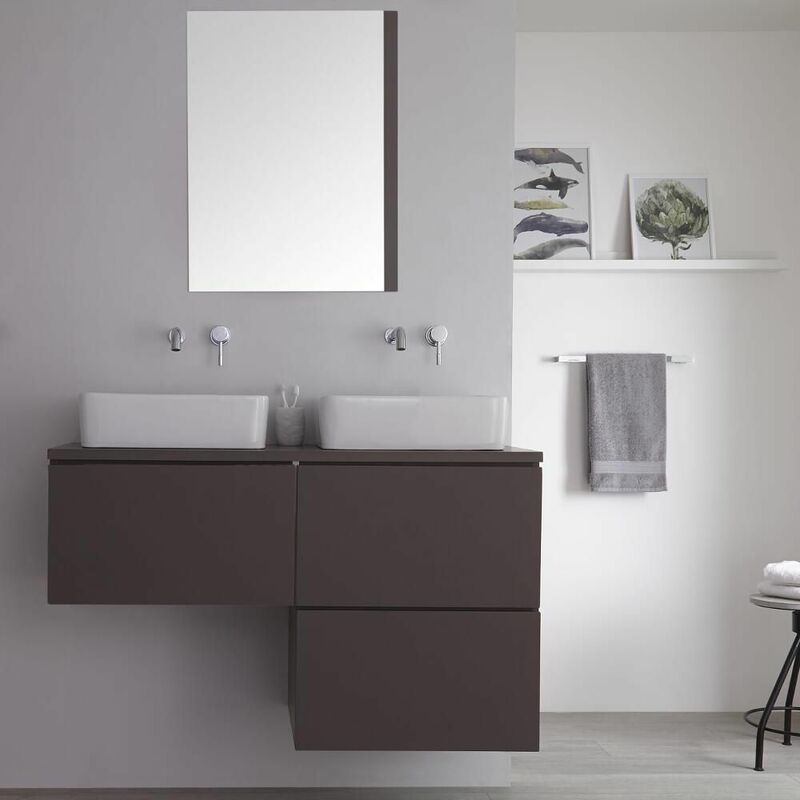 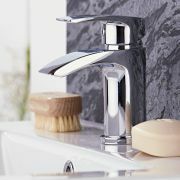 The two countertop basins are not fitted with tap-holes, making them compatible with any of our contemporary high-rise or wall-mounted taps to customise the final look.